The Concerto Group has announced new appointments in four key senior roles across its divisions. Chris Miles, Nicci Gisby, Alex Dingwall and Carly Mitchell. Alex Dingwall has joined the agency as group central sales and venues director. He was previously director at agency Raspberry Blonde and brings with him a wealth of experience in the events industry, with a track record of business development and operations across the sports, corporate, catering and events sectors. Concerto-owned caterer Create has appointed Chris Miles as sales director. Miles joins from London Bridge venue Vinopolis, which closed at the end of 2015, where he was head of sales. Two seniors have also returned to Concerto. Carly Mitchell re-joins as deputy managing director of Ultimate Experience, while Nicci Gisby, who had been working for Centaur Media, re-joins as group business development director. 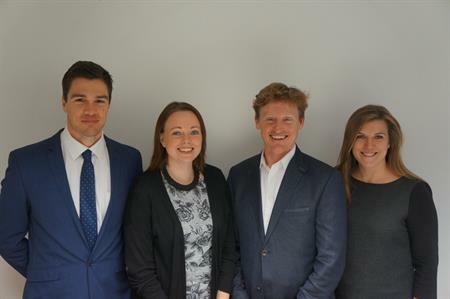 Concerto Group CEO, Sam Gill, said: "The management team has been reinvigorated by the arrival of key seniors including Alex Dingwall, Chris Miles, Carly Mitchell and Nicci Gisby (née Purnell). "The four are all well respected members of the events industry, with a fantastic record of improving events businesses. We look forward to them leading the way in expanding Concerto’s venue portfolio at an exciting time of growth for the company."